Iridium is delivering on its uncompromising vision for the future of global communications: Iridium NEXT. Iridium’s groundbreaking second-generation satellite constellation will enable innovations today and those yet to be imagined, while providing continued high performance and reliability for all existing Iridium® solutions – far into the future. organizations communicate – everywhere on the planet. delivering high-quality, truly mobile voice and data coverage over the planet’s entire surface – including oceans, airways and polar regions. plane – creating a dynamic mesh network that routes traffic among satellites to ensure a continuous connection, everywhere. Combined with redundancies across the network, and secure, dedicated ground infrastructure this unique configuration will allow services using the Iridium network to continue to remain unaffected by natural disasters, including hurricanes, tsunamis and earthquakes that can cripple terrestrial infrastructure. Land Mobile: Iridium Certus will set a new standard for remote communications and connectivity for enterprises, governments and individuals that want to extend their use of mobile networks into remote areas, without having to deploy ground-based infrastructure or expensive terminals. Iridium Certus will integrate with internet, cellular, Land Mobile Radio System, and location-based applications to keep you connected anywhere on the planet. Maritime: From merchant vessels to the coast guard, Iridium is a preferred, trusted provider for maritime satellite communications for operational and safety services. Iridium Certus will set a new standard with small, robust, all solid state equipment providing the highest L-band throughput to any seas. 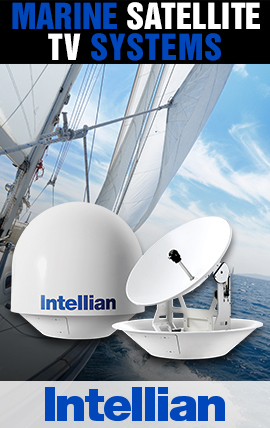 It is the technology maritime has always wanted – all of the benefits of resilient L-band frequencies combined with high bandwidth and truly global coverage. Government: Powered by Iridium NEXT, Iridium Certus broadband will support reliable, global, pole-to-pole expeditionary communications for military users supporting all aspects of air, land, and sea operations. It is the ideal solution for Enroute Mission Command and Control (EMC2) and other broadband applications where beyond line of site communications are critical to mission success. Whether you are supporting planned or contingency operations, Iridium Certus will be there when you need it most. 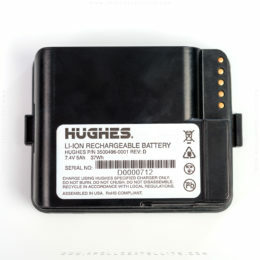 M2M: Higher speeds, small form factor transceivers, and increased bandwidth will unlock new possibilities in asset tracking, fleet management, remote monitoring, command and control and other intelligent data applications, while Iridium’s reliable SBD and LBT products will continue to be supported for years to come. And Iridium Certus will provide a new platform for innovative and powerful Iridium M2M solutions across the globe. Aviation: Iridium is a preferred, trusted provider of aviation satellite communications for improved operational efficiencies and safety-critical services offered via a global network of channel partners for operators across all market sectors and geographies of the world. Delivering global, reliable and enterprise-grade services while redefining the capabilities of satellite communications, Iridium Certus is the new service platform to be powered by the $3 billion Iridium NEXT constellation. Iridium Certus will offer more than just connectivity – it is a portfolio of ever-expanding service offerings that will allow your business to operate more efficiently by providing more value and coverage than any other satellite operator. With a range of speeds eventually up to 1.4 megabits per second after Iridium NEXT deployment is completed, Iridium Certus is being built to support an innovative portfolio of partner products and satisfy a wide-ranging set of maritime, aviation and land mobile communication needs. 66 Low-Earth Orbit (LEO) Satellites: The large number of fast-moving satellites with multiple overlapping spot beams minimizes missed connections and dropped calls. The LEO orbit also provides a shorter transmission path with less signal attenuation. 15 spares (6 in-orbit, 9 ground): The in-orbit spares can be quickly repositioned and activated, as needed. Unique LEO constellation: At only 476 (780 km) from the earth, the proximity of Iridium’s LEO network means pole-to-pole coverage, a shorter transmission path, stronger signals, lower latency and shorter registration time than with GEO satellites. The network is considered a meshed constellation of interconnected, cross-linked satellites so that each satellite “talks” with the other nearby satellites in front, behind and adjacent orbits. Global, pole-to-pole coverage: In space, each Iridium satellite is linked to up to four others creating a dynamic network even when traditional local systems are unavailable. L-band availability: Take advantage of reduced interference from weather and a more reliable network. A founding member of the Hosted Payload Alliance, Iridium is a leader and visionary in making space more accessible. Iridium PRIMESM is the world’s rst turnkey payloads solutions on standalone satellites, designed to reduce the complexity and costs of access to space-based services. Iridium also secured one of the industry’s largest deals to date for the primary hosted payload space on Iridium NEXT with AireonSM The partnership with leading ANSPs and investors from around the world, including NAV CANADA, ENAV, Irish Aviation Authority and Navair, will revolutionize global air tra c surveillance by providing global visibility of all equipped aircraft.